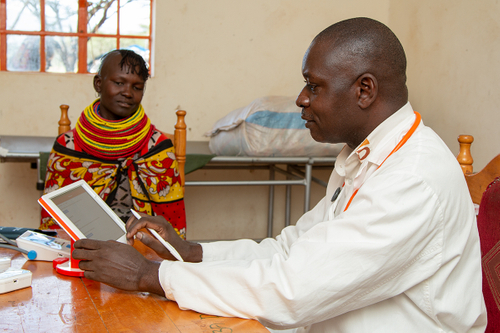 The biggest impacts these communities face are diarrheal diseases and illnesses. Significant water loss or lack of access to safe water affects the health and function of the gastrointestinal tract---think digestion. Lack of hydration prevents your organs from operating functionally, which leads to diarrheal diseases. Episodes of these diseases deplete the human body of water and other nutrients, which then plummets the functionality of the body’s immune system. Without optimal immunity, young children, infants, and adults are exposed to fatal diseases, compromising their overall health and quality of life. Each year diarrhea kills around 525,000 children under the age of five. A significant proportion of diarrheal disease can be prevented through safe drinking water and adequate sanitation and hygiene. Globally, there are nearly 1.7 billion cases of childhood diarrheal disease every year. Diarrhea is a leading cause of malnutrition in children under the age of five. These diseases include Eteropathogens such as Rotovirus (a strand of the stomach flu many of us have experienced for ourselves) and Escherichia Coli (E Coli). Diarrhoeal illnesses such as cholera are also prevalent in these communities. Cholera is an illness our partner communities often experience. It is caused by an infection in the intestine from bacteria found in contaminated water. Once infected, the body loses fluid rapidly, and without treatment to remediate the dehydration, death can occur within hours. According to the CDC, an estimated 95,000 deaths occur each year due to cholera. Not only are these communities facing fatal diseases and illnesses, but some are also experiencing dangerous side effects of fluoride levels in the water. Excess fluoride often causes severe structural changes to the enamel in one’s teeth and skeletal fluorosis. Beginning symptoms of skeletal fluorosis include pain in the joints, but over time the structure of their bones can change due to calcification. The severity of skeletal fluorosis depends on the person’s overall health and diet--which means those living in our partner communities are at high risk. So, what is Well Aware doing to help these chronic health issues in water-scarce regions of East Africa? Helping to provide access to one major prevention player: clean water. 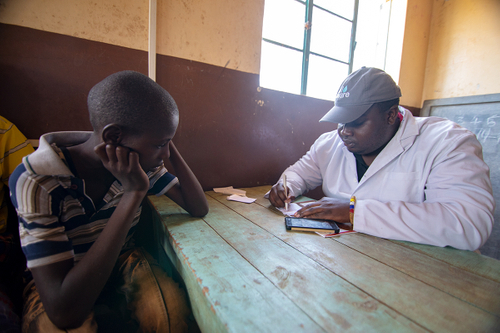 Improving the quality of life for our partner communities in East African is the goal, and one essential component of that is increasing the overall health in these communities. 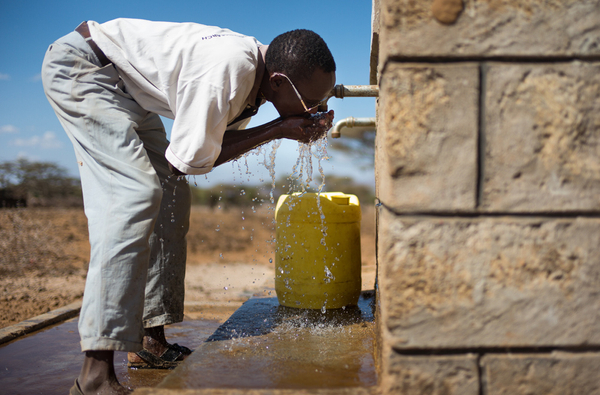 By having access to safe water, exposure to health- deteriorating diseases decreases. Well Aware knows this. In fact, once clean water becomes available in a community, Well Aware has seen disease rates drop by 68%, almost instantaneously. And, with more accessible water, communities aren’t traveling long distances just to fetch water - a dehydrating task itself. These trips cause issues like chronic fatigue, dizziness, delirium, altered thermoregulatory capability, and difficulty performing physical activities as simple as sitting down. Needless to say, we’ve got a problem. Limited access to water directly affects our most basic needs.Next time we feel the effects of dehydration, or reach for a glass, , let’s take a moment to remember that there millions of people are still working for access to something that we, in places like the U.S., usually have at our fingertips---clean water. 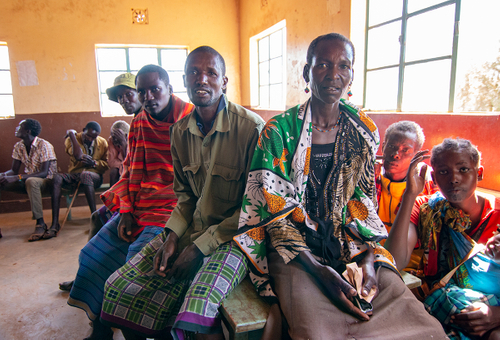 Well Aware is actively working to provide this vital resource to East African communities. Want to get involved in providing clean water and improving health? Join our village of sustaining monthly donors here. Or, help raise funds for life-saving systems by joining our upcoming campaign: Shower Strike.